This stretch bracelet from Satya focues on sacred insight and getting to your truth. 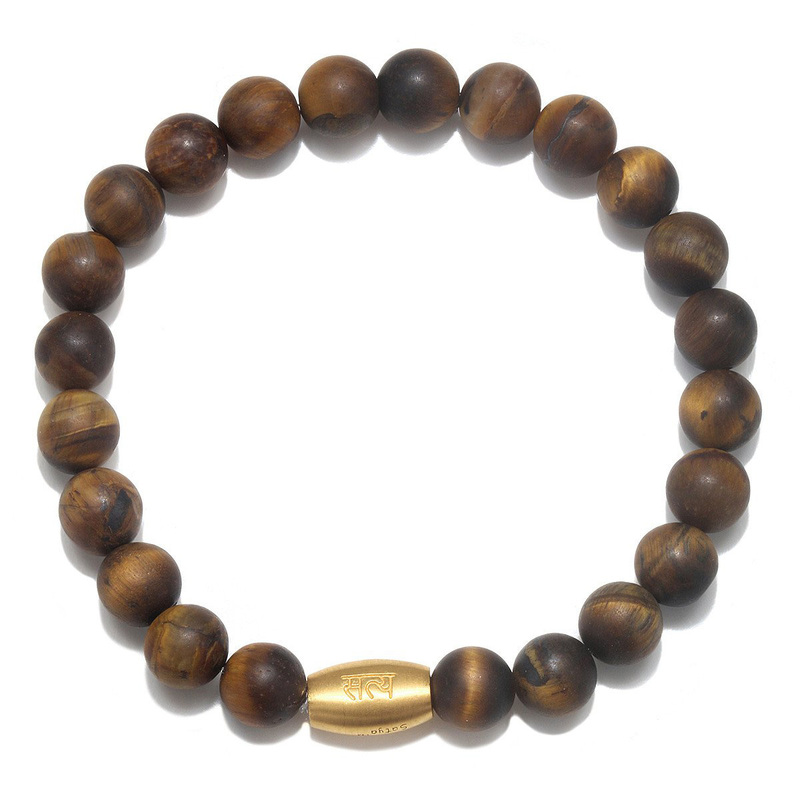 Matte Tiger Eye stones, revered for grounding, insight and stability, create this stackable stretch bracelet. A gold plated bead engraved with "truth" delivers added focus.